Gundam Wing Endless Duel was one of the best anime SNES games made(ranked next to Hyper Dimension in my opinion). It featured incredible graphics, great music and excellent sound effects. 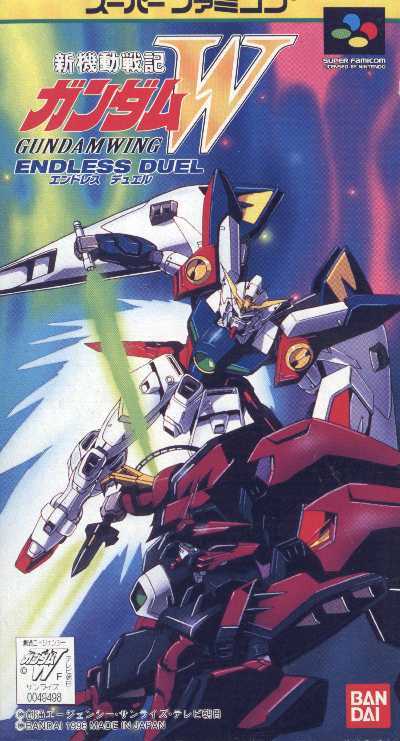 This was the best Gundam game for the SNES selection by far. It had a great story mode. The only thing that was not good was that it didn't have a 1 on 1 vs mode against com players. It was one of the last SNES games released and one of the best as well. I give this game 8.5/10. -Wing,Wing Zero,Sandrock,Deathscythe,Heavyarms,Shen-Long, Tallgeese,Vayate,Mercurius and Epyon. Epyon Code-VS mode and Trial Mode only. -Highlight Tallgeese and press L,L,L,L,R,R,R,R,L,R,L,R,L,R,L,R,L,R. -Every one's super move is different. A brief movelist will come soon!